offers on this incredible marketing tool. Fill out the form below for information and exclusive offers on this incredible marketing tool. 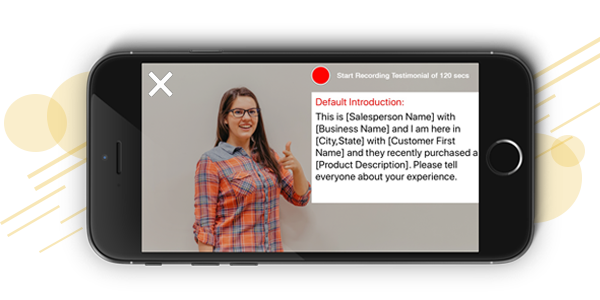 Are you ready to harness the power of video testimonials? If a picture’s worth a thousand words, how about a video? 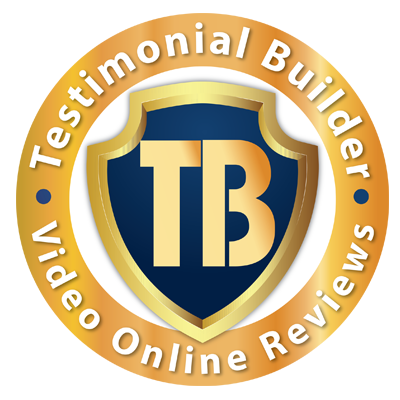 Improve your online reputation and exposure with authentic video reviews from your happy customers. Climb to page one of local searches with personalized SEO keywords picked up by Google’s voice recognition software. 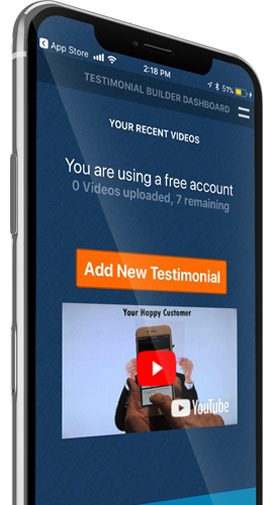 Automatically send the video to your happy customer for them to share online. You just reached their entire network with an authentic review! 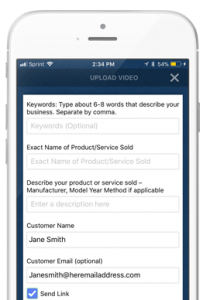 The built-in teleprompter guides you to include the correct SEO keywords. 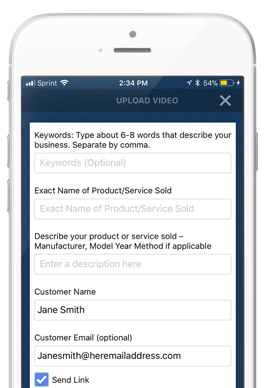 The built-in teleprompter guides you to include the correct keywords. 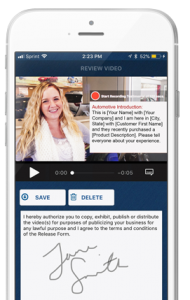 Get permission to use the video online with a digital signature right within the app. YouTube’s voice recognition software scans the audio so you get SEO credit for those keywords. 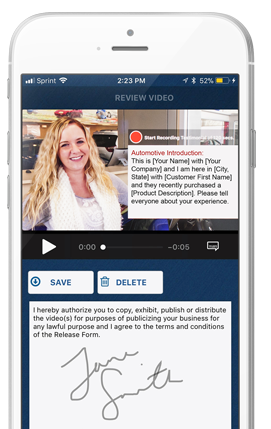 Automatically send the video to your happy customer for them to share online too.